A gentle conditioning and detangling formula for unruly and frizzy hair. 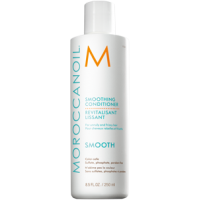 Moroccanoil® Smoothing Conditioner, featuring proprietary AminoRenew™ ingredient, restores depleted amino acids to strengthen and align hair’s natural keratin structure. Strands are instantly nourished with antioxidant argan oil and argan butter, leaving hair smooth, healthy-looking, calm and manageable. 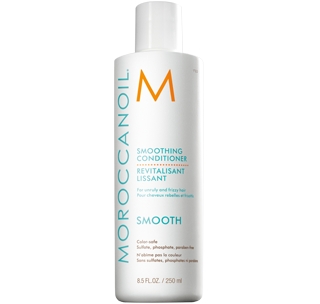 When used with Moroccanoil Smoothing Shampoo, results can last up to 72 hours. 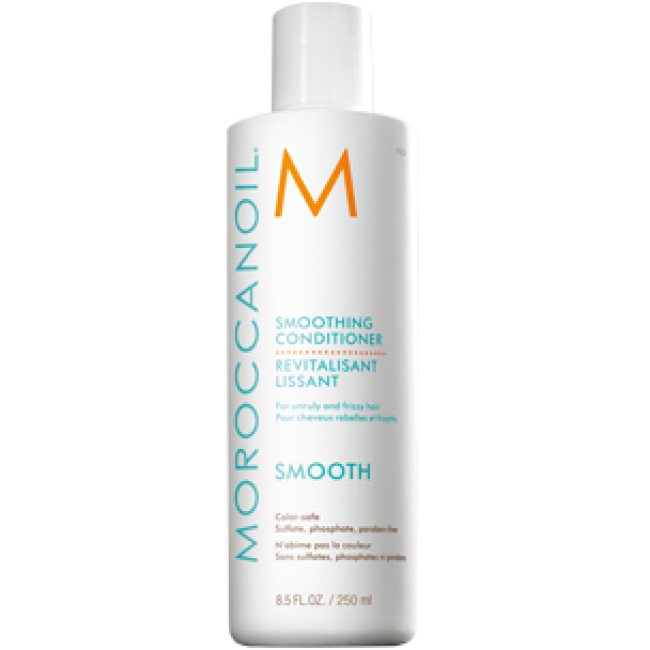 After shampooing, gently squeeze excess water and apply Moroccanoil® Smoothing Conditioner from mid-length to ends. Leave on for 1–2 minutes and rinse well. Use regularly for best results.